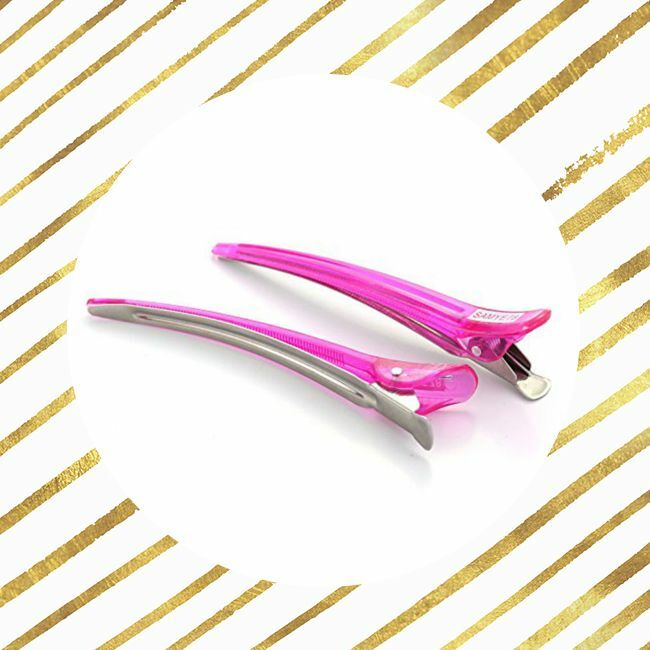 When it comes to your curls, there are a few tools that are an absolute necessity. From sectioning hair for working through tangles to crafting your curls into the latest style, these little tools just make life easier. However, they're certainly not all created equal! Just like, shampoos, pillowcases, and websites (hi! ), some are actually better for curly hair than others. 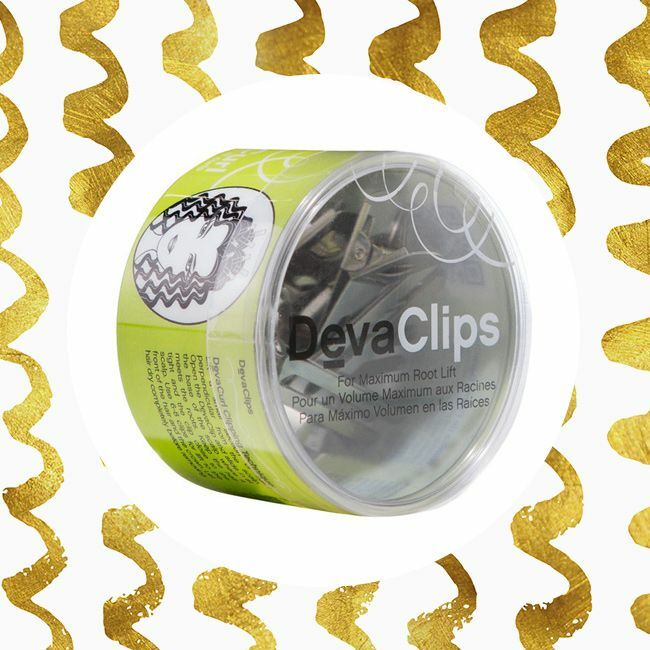 According to the reviews we've scoured, these are some of the best clips for curly hair, both for providing the hold you need, and preventing the damage you don't! This brand is the obvious top choice for naturally curly hair since the whole Devacurl brand specializes in textured locks! 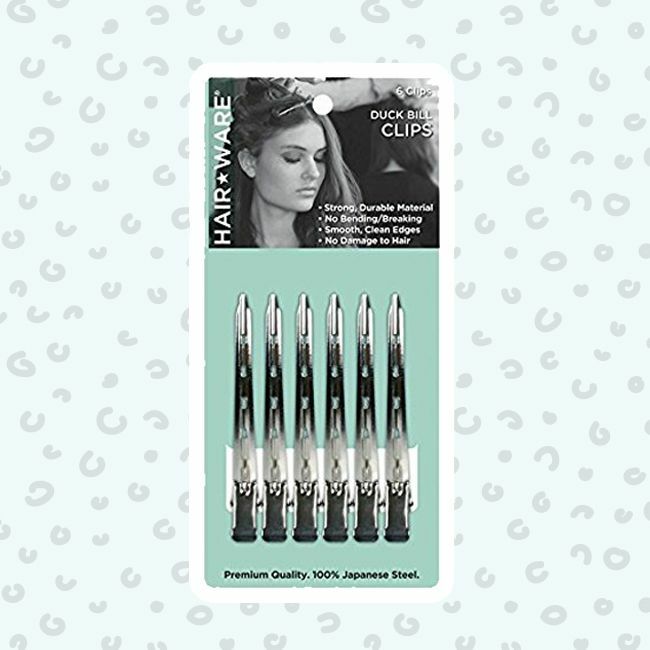 These little hair-helpers are specially designed to provide maximum root lift when applied to close to your scalp for adding an extra volumizing step to your style routine. This is due to their being wider and longer than most of their clip brethren—bigger hair means bigger hairstyling accessories! Need some good metal hair dividers that won't succumb to the rust fairies in your bathroom? These are a reliable solution, especially if you tend to wash your face like they do in commercials. Can we say "Splash Zone?" They are made of metal that is rust resistant and stain proof for a lasting hair accessory. Made without a crossbar in the design—the better to slip the tops in and out of your curls— these are ideal for a firm hold that's perfect for styling hair. Whether you have thinner type 2 hair or thicker type 4 hair, this brand will work to give you control and hold when you need it most! Just be sure to section your hair out in accordance with your strands' thickness and density! While smaller separators are ideal for working with shorter hair to get a great hold, when you have a lot of hair to deal with, you may need something longer. Go figure, right? These Spilo duckbills are extra long so they can hold your extra hair in place. All of our Rapunzel-like curlfriends out there will be glad to know you can use them to raise your roots or position styles away from your face with confidence! 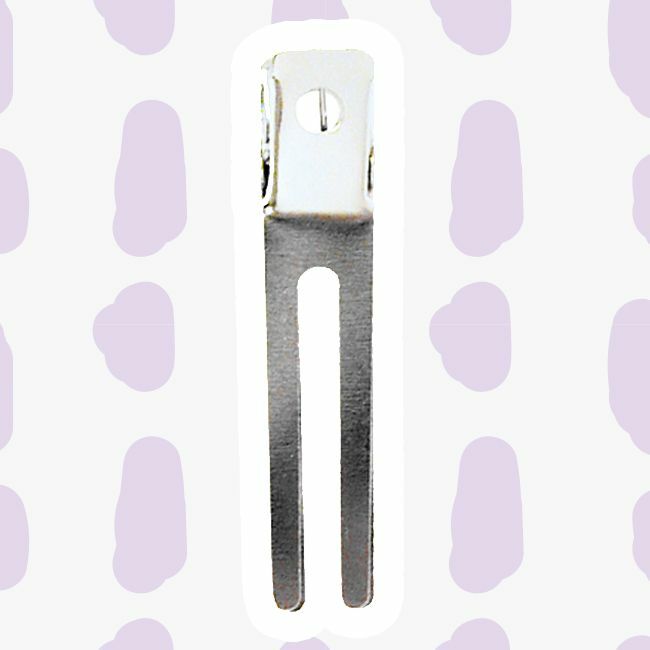 While metal clips are great for getting maximum hold, plastic clips can be a gentler option. With these guys, you can get the hold of metal with an outer plastic design. Four our finer-haired curlistas looking for a gentle way to hold their strands without pulling them out, these are a must-have item! These brightly colored separators come in different colors, which makes them perfect for color-coding your sections for things like multi-stage hair dyeing—seeing as you might need certain sections to 'marinade' longer than others. That trendy unicorn hair can take various times for different colors after all. And even if you don't necessarily have to put your hair into time zones, honestly? This neon is just plain fun. Channel your inner Lisa Frank! Did any of these clips happent to strike a chord? Don't be afraid to @us (@naturallycurly) whether you're channeling Solange or taking a daring 'In Progress' pic!